Kiasma museum of contemporary art. Photo by M00ster, CC BY 3.0. Click image for larger view. 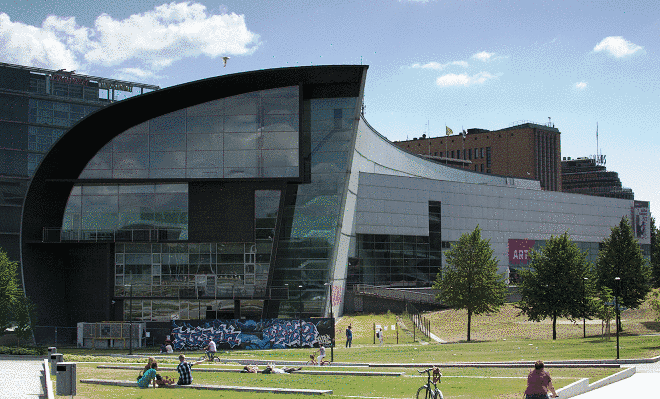 Kiasma, which was built during 1996–1998, is a contemporary art museum. Its name kiasma, means chiasma in the language where this building resides and alludes to the basic conceptual idea of its architect, Steven Holl. The museum exhibits the contemporary art collection of the National Gallery of its country, founded in 1990. Its central goal is to make contemporary art better known and strengthen its status. An architectural design competition to design a contemporary arts museum in in the city where it is located was held in 1992. The competition was meant for architects from countries in a specific area. Five internationally renowned architects participated, among whom there was only one US citizen (who was not from the specified area). In 1993 the work Chiasma by the American architect Steven Holl was selected from the 516 competitors. The construction of the disputed and controversial Kiasma was started in 1996. It was opened in 1998. Let’s see how good you are at figuring out where this interesting contemporary art museum is. Be sure to watch the video after the quiz. This Travel Quiz is about a Contemporary Art Museum. There are clues to help guess the answer. The level of this test is medium. Answer the questions. Each answer is worth about 10 points. If you don’t know the answer, then take a guess (unless you want a guaranteed zero for the answer). If you are in the area where this museum is located it will be well worthwhile to visit it. Thanks for taking this quiz about a Contemporary Art Museum. KIASMA Contemporary Art Museum 15th Anniversary Celebration Museum Tour – Helsinki, Finland – 28th September, 2013. Kiasma is a contemporary art museum located on Mannerheimintie in Helsinki, Finland. The museum exhibits the contemporary art collection of the Finnish National Gallery founded in 1990. Its central goal is to make contemporary art better known and strengthen its status. Kiasma was opened in 1998. The building was designed by the American architect Steven Holl. Name the country where this museum is located. The country where this museum is located is Finland. As of 2013, the country’s population was around 5.5 million, with the majority concentrated in its southern regions. The country is one with a large older population where half of voters are estimated to be over 50 years old. Forest covers 86% of the country’s land area, the largest forested area in Europe. Forests play a key role in the country’s economy, making it one of the world’s leading wood producers. There are many attractions in the country which attracted over 4 million visitors in 2005. What city is KIASMA Modern Art Museum located in? KIASMA Modern Art Museum is located in Helsinki, Finland. The city where it is located has a population of 616,042 an urban population of 1,176,976 as of December 31 2012 and a metropolitan population of 1,361,506, making it the most populous municipality and urban area in the country. The city is located on the shore of a Gulf which is an arm of the Baltic Sea. The city’s metropolitan area includes urban core, Espoo, Vantaa, Kauniainen and surrounding commuter towns. It is the world’s northernmost metro area of over one million people. 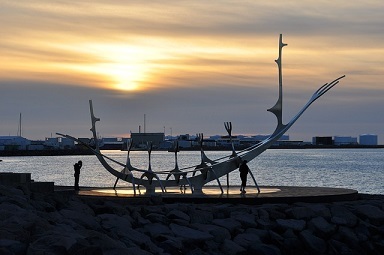 The city is the northernmost capital of an EU member state.